Juniper Networks introduced its Contrail Edge Cloud for helping service providers deploy new revenue-generating services at the network edge. The aim is to bring a full-fledged secure cloud experience to the space- and power-constrained edge network, which includes base stations, hub sites and switching sites. Juniper says its Contrail Edge Cloud can extend a full suite of orchestration, automation, security and analytics to the edge for supporting dynamic consumer and enterprise services in a cost and resource efficient manner. The new Contrail Edge Cloud leverages the software-defined networking capabilities of Contrail Networking and Contrail Security with Kubernetes and OpenStack. Furthermore, it is based on Linux Foundation’s open Tungsten Fabric project. Footprint-optimized distributed computing: Integration with Red Hat OpenStack Platform, a highly scalable Infrastructure-as-a-Service (IaaS) platform, with distributed compute, leverages many of the latest OpenStack capabilities to remotely manage the lifecycle of compute nodes and virtual machines (VMs) from a centralized data center, without requiring the footprint of co-located OpenStack control plane functions in each of these remote edge sites. Containers for faster time to revenue: Contrail Edge Cloud will be capable of supporting Red Hat OpenShift Container Platform and other Kubernetes distributions. Unified workflow, policy and service chaining: Contrail Networking with remote compute capabilities enables service providers to deliver a seamless network fabric between VMs, containers and bare metal servers from a single-user interface across physical and virtual environments. Contrail Networking translates abstract workflows into specific networking policies, simplifying the orchestration of virtual overlay connectivity across all environments. Fabric management capabilities automate policies and life-cycle management of each data center and edge site fabric. Contrail Networking provides connectivity and service chaining for OpenStack VM, Kubernetes containers and bare metal workloads without requiring the footprint of co-located control plane functions. Native security and microsegmentation: Contrail Security provides visibility, telemetry and network policy enforcement in a single unified mechanism for service providers that are increasingly deploying a mix of VMs and containers. It includes adaptive firewall policies and tag-based ability to enforce security policies across Kubernetes and OpenStack. Open source software-defined storage: Red Hat Ceph Storage provides massively scalable storage that runs economically on industry standard hardware and manages petabytes of data across cloud and emerging workloads. Machine learning-based analytics: AppFormix provides machine learning-based performance and health monitoring to give health and service insights into workloads and deployments. Full-featured virtualized security: cSRX and vSRX deliver an industry leading container and virtualized security instance as part of the service chain. Juniper said it continues to contribute to the Linux Foundation’s Akraino Edge Stack project to further the open cloud initiatives. “Service providers’ edge networks are beachfront property. As 5G and new applications such as IoT, AR/VR and connected cars all require extreme proximity to the end user, the edge will become ground zero to deploy virtualized network infrastructure, as well as to monetize new applications. Contrail Edge Cloud will greatly simplify the IT side of spinning up and managing these new services in a secure way. 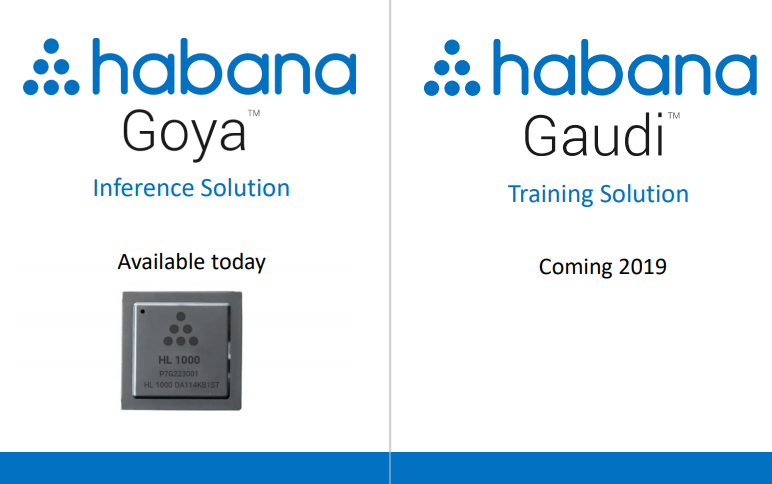 And what’s great is it isn’t just for network engineers. It also gives sales and marketing executives a way to get creative with agile new services, so businesses and consumers start seeing carriers as more than just connectivity providers. We are executing all of this in an incredibly small edge-friendly footprint,” stated Sally Bament, Vice President, Service Provider Marketing, Juniper Networks. 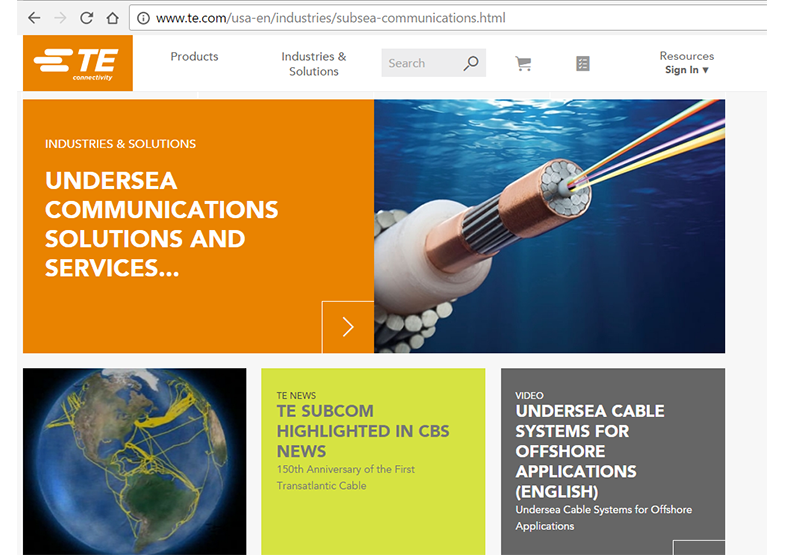 TE Connectivity will sell its SubCom subsea communications business to Cerberus Capital Management for $325 million in cash. SubCo, which is based in Eatontown, New Jersey, designs, manufactures, deploys and maintains subsea fiber optic cable systems. To date, SubCom has completed more than 100 cable systems and deployed over 610,000 kilometers of cable through its eight high-performance cable ship. The division has 1,400 employees. TE Connectivity said its SubCom business was expected to contribute approximately $700 million in sales to fiscal year 2018 results, with a minimal contribution to profitability. TE will provide supplemental information with respect to the SubCom business when it announces its financial results for the fourth quarter of fiscal year 2018. TE Connectivity plans to use proceeds from the sale for share repurchases. “SubCom is a recognized pioneer in the subsea fiber optic cable industry with a long track record of technology innovation and excellent project management and customer service,” said Michael Sanford, Co-Head of North American Private Equity and Senior Managing Director of Cerberus. The Small Form Factor Pluggable Double Density (SFP-DD) Multi Source Agreement (MSA) Group, whose founding members include Alibaba, Broadcom, Cisco, Dell EMC, Finisar, HPE, Huawei, Intel, Juniper, Lumentum, Mellanox, Molex, and TE Connectivity, released the v2.0 specification for the SFP-DD pluggable interface. SFP-DD is the next-generation SFP form factor for DAC and AOC cabling, and optical transceivers. The innovative electrical interface is designed to support two lanes that operate up to 25 Gbps NRZ or 56 Gbps PAM4 per lane modulation — providing aggregate bandwidth of 50 Gbps NRZ or 112 Gbps PAM4 with excellent signal integrity. The newly updated specification version 2.0 reflects enhancements to the mechanicals, extended modules and enhanced polarizing key of the high-speed, high-density SFP-DD electrical interface, targeting support of up to 3.5 W optical modules in an enterprise environment. Version 1.0 of the spec was released in September 2017. "Through strategic collaborations, we work to increase speed, density and scalability in next-generation servers," said Scott Sommers, Chair of the SFP-DD MSA. "We effectively enhance the roadmap in network applications to meet the challenging demands data centers and enterprise networking platforms are up against." SFP-DD MSA contributing members are Accelink, Amphenol, AOI, Foxconn Interconnect Technology, Fourte, Genesis, Hisense, Infinera, Innolight, Maxim, Multilane, Nokia, Oclaro, Senko, Source Photonics, US Conec, and ZTE. ZenFi Networks, which operates a high fiber count network across all five boroughs of the City of New York, completed its previously announced merger with Cross River Fiber, which operates high-capacity and latency-sensitive fiber optic backbone spans throughout New Jersey and New York. The deal will create a leading communications infrastructure provider in the New York and New Jersey metro areas with more than 700 route miles of fiber optic network, 130 on-net buildings, 49 colocation facilities and 1,700 outdoor wireless locations with more than 3,000 under contract. Financial terms were not disclosed. “I am excited about the future as we blend the considerable talents and experience of both companies,” shares Vincenzo Clemente, newly appointed President and COO of ZenFi Networks. 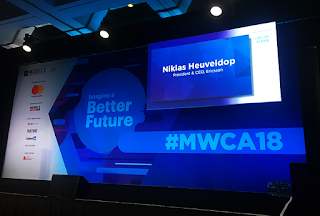 "Combined, we will draw on our decades of experience to push the boundaries of infrastructure innovation, all while remaining focused on efficiently delivering and expanding purpose-built fiber optic networks and wireless solutions for our clients." Netscout Systems has divested its handheld network test (HNT) tools business to StoneCalibre, a private equity firm based in Los Angeles. Financial terms were not disclosed. The HNT portfolio acquired by StoneCalibre includes the LinkSprinter Network Tester, LinkRunner Network Auto-Tester, OneTouch AT Network Assistant, AirCheck G2 Wireless Tester, and AirMagnet Mobile solutions. NETSCOUT will work toward a smooth transition for customers, partners, contractors and suppliers by collaborating with StoneCalibre to provide a variety of services across a range of functional areas over the next several months as StoneCalibre completes its carve-out of HNT as a standalone company in its portfolio. Keysight Technologies's Ixia division and Innolight demonstrated 400 Gigabit Ethernet (GE) interoperability between InnoLight’s OSFP optical transceivers, an OSFP 400GE switch from a major network OEM, and Ixia’s AresONE-400GE OSFP 8x400GE test system. The demo carried 3.2 Tbps of Ethernet test traffic. 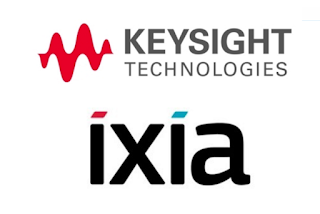 Ixia’s AresONE-400GE test systems enable network equipment providers to test high-port-density devices such as routers, switches and servers for all Ethernet speeds, 400GE/200GE/100GE/50GE, based on the IEEE802.3bs and IEEE802.3cd standards. The 8-port 400GE test system is based on 56 Gb/s electrical interface with PAM-4 encoded signaling, supporting both OSFP or QSFP-DD pluggable interfaces. 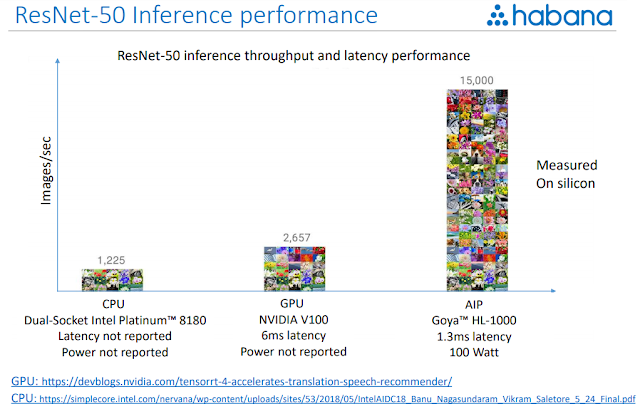 It runs IxNetwork, Ixia’s field-proven L2/3 emulation performance and scale test software. AresONE is available in full and reduced, 4-port and 8-port models. Last week's 2018 Mobile World Congress Americas, which was held at the Los Angeles Convention Center, attracted 22,000 attendees, up by 1,000 compared to last year when it was held in San Francisco. In February, attendance at the 2018 Mobile World Congress in Barcelona was 107,000 visitors, down slightly from 108,000 attendees in 2017 and compared with 101,000 attendees in 2016. 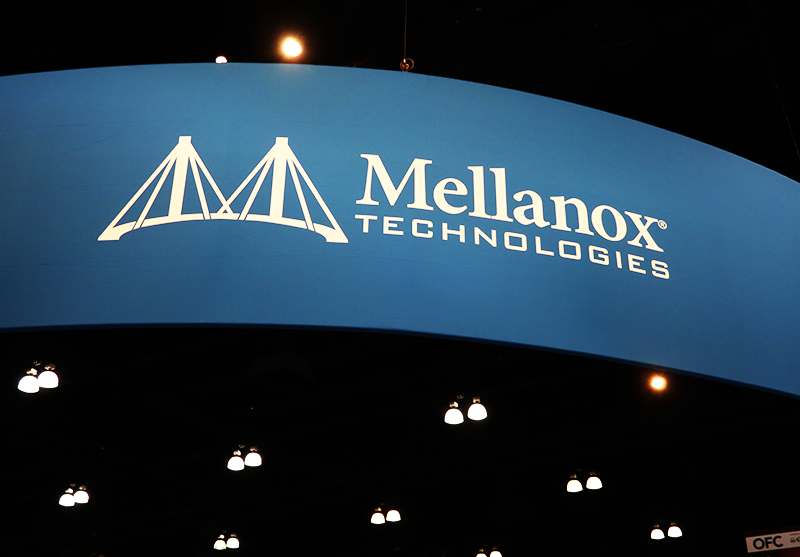 Singapore's National Supercomputing Centre (NSCC) has selected Mellanox 100 Gigabit Ethernet Spectrum-based switches, ConnectX adapters, cables and modules for its network. 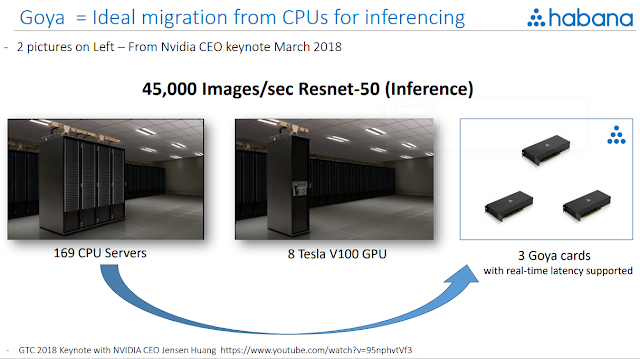 Mellanox ConnectX-5 with Virtual Protocol Interconnect supports two ports of InfiniBand and Ethernet connectivity, sub-600 nanosecond latency, and very high message rate, plus embedded PCIe switch and NVMe over Fabric offloads. It enables higher HPC performance with new Message Passing Interface (MPI) offloads, advanced dynamic routing, and new capabilities to perform various data algorithms. 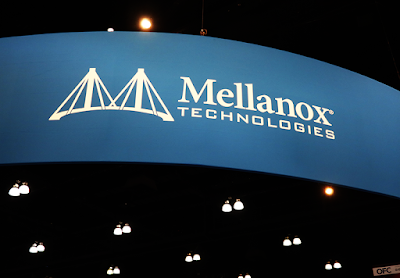 Mellanox's MetroX provides RDMA Long-Haul Systems enable connections between data centers deployed across multiple geographically distributed sites, extending Mellanox's world-leading interconnect benefits beyond local data centers and storage clusters.